Airlines Pilot Recruitment – Are you completed your pilot training from popular pilot schools? but still not getting any Jobs then you can read this till the end of your solution. 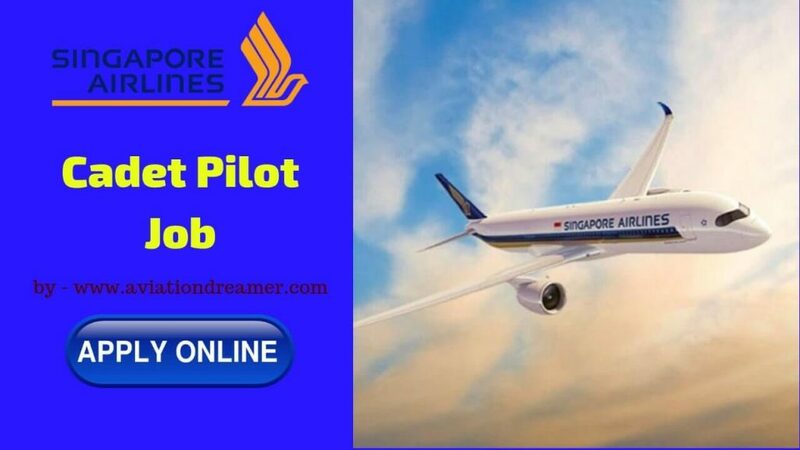 Yes, friends in today’s article I am gonna write on the topic of Singapore Airlines Pilot Recruitment. Which will help you to apply for pilot Jobs online. Successful candidates will be trained to acquire either Airline Transport Pilot License (ATPL) with Instrument Rating (IR) or Multi-Crew Pilot License (MPL) in pilot training schools in Singapore and abroad. Full board and accommodation will be provided. Upon receiving ATPL or MPL, you will go through further training to become the first officer. All interviews will be held in Singapore. Applicants go through five steps in a medical examination along with an online application, initial interview, qualification test, final interview with senior management. During the training, the monthly allowance will be provided. On appointment as the first officer, you will enjoy a competitive salary with various allowances and benefits. Successful candidates will be required to serve the SIA, SilkAir or SIA cargo (as the case may be) for a period of 7 years from the date of training and the date of appointment as the first officer. Candidates who have participated in our last interview do not need to apply first. Only shortlisted candidates will be notified.